There are some tracks that when you hear them you instantly connect with the story that they present. Who Says by John Mayer is one of those tunes for me. 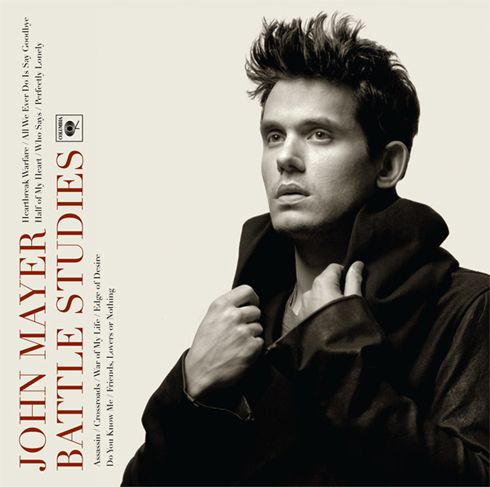 I actually find the whole album, Battle Studies to be that way. Call it selfish or even a bit shallow, I call it an appreciation for single life and short term relationships. It's what I like about this song in particular, it always reminds me of those late nights when I'm busy working or after I've just come home from an evening with friends and just feel like chilling out at my place. I like feeling like there's still a lot of potential out there and that it's cool for me to do what makes me happy even if it's not what others expect or would do themselves. I'm an independent guy and this is an independent guys song.